This afternoon I received an invitation to the South Shore Marine about a Walleye day long seminar featuring non other than Captain Juls discussing trolling with in line boards! I hope that she will discuss moving rods like she did in the previous post. I hope to learn more than that from her too. Also speaking will be Eric Litton from the Pirate Clipper who posts on the forum too, and he will be discussing big board trolling. Looking forward to this day and all that I can learn. There is more than one South Shore Marine. Please give us some details on this (place, location, website, etc.). I assume it is the one in Huron? Their website has no information on this, only a show from last year. Yes, it's the one in Huron. As for topics...there will be a lot of time spent on Q&A's, so just ask that question about moving rods, and I'll be happy to discuss it with you. The flyer says the doors open at 7:45 ..and, the seminars go from 8:45 to 4:15. I believe Lance Valentine goes first, then me, then Eric Litton....and whoever they have after that. Get there early for a cup of coffee and a "light breakfast" (translated, it probably means doughnuts, bagels, and a pasty assortment). This is something you have to sign up for, because seating is limited. The admission fee is going towards a good cause..."Walleyes for Wounded Heros", so it's well worth the price of admission. They will be serving you lunch and giving away a lot of door prizes too! A cheap/fun way to spend a Saturday. Last edited by Capt Juls; 02-18-2019 at 04:52 AM. 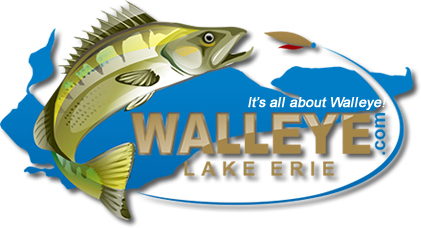 Can we hear about the Walleye seminar today? I decided I needed to work on my boat so I can launch early and not miss any early season action. I wanted to go, but I am working on preparing the bottom of my boat. I always wanted to have my boat in the water so I did not have to worry about line ups to get in and out at the ramp. I think I want to go back to a trailer boat as having your boat in the water the way it is now (green muck) just causes a lot of extra work. A day well spent. Good info from Juls, Lance and Eric. South Shore Marine Walleye Seminar was excellent. South Shore Marine has a beautiful and spacious showroom to put seminars on. Plenty of room and very well organized. The speakers well top notch. Captain Juls started with tips and techniques for planer boards. Lance then spoke about electronics and his techniques on the water for catching walleye the most efficient way. Lastly Eric Litton talked about setting up big boards which was also very informative. All three kept your attention with their expertise. South Shore had a nice Angler Alley set up with vendors to purchase just about everything you need to get you out on the water. I'm a beginner in the chartering business and try to take every opportunity to learn more about the business. I think this one was the best seminars I've been to by far. Oh I almost forgot the most important news. They raised over $9,000 for Walleye for Wounded Heroes. Such a great cause! Last edited by hhcharters; 03-03-2019 at 03:01 PM. great day and very informative also for a great cause will definitely go again and recommend others. Thanks for the kind words...I'm glad everyone had a good time! It was a fun day, and I feel honored to have been part of it. It was nice to spend the day talking fishing with everyone, while we wait for this stupid ice to leave. Here are a few pics of the event that were shared by Mike Manion, on Facebook.